Brandon M. Dittman – Kissinger & Fellman, P.C. 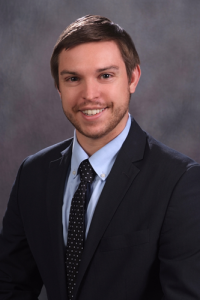 Brandon Dittman is an associate at the firm of Kissinger & Fellman, P.C. He received his Bachelor of Arts degree and Bachelor of Science degree, in 2011 from Purdue University, West Lafayette Indiana, and his law degree in 2014 from the University of Colorado Law School. Brandon’s practice is focused on municipal law, public utilities law, and telecommunications law, representing clients in both the government and private sectors. Brandon’s experience includes public utilities law and policy, municipal law, telecommunications law, environmental and natural resources law, and litigation. He has worked with local governments, utility companies, and private citizens on various energy, municipal law, transportation, environmental, and telecommunications legal matters. Prior to joining the firm, Brandon was Attorney-Fellow at the Municipal Operations Section of the Denver City Attorney’s Office, where he represented the City in electric, gas, steam, railroad, and transportation matters before the Colorado Public Utilities Commission. This includes dockets relating to electric and gas rate cases, renewable energy, resource planning, data privacy, rule-making, transportation formal complaint proceedings, and at-grade rail crossings. Before that, as an intern as Black Hills Corporation, Brandon focused on energy regulation in Colorado and Wyoming and federal environmental regulation under the Clean Air Act. While in law school, Brandon served as the Production Editor of the Colorado Natural Resources, Energy, and Environmental Law Review and was an officer in the Environmental Law Society. Author, “How to be a Good Neighbor: The Failure of CAIR and CSAPR, Uncertainty, and the Way Forward, 25 Nat. Resources, Energy & Envtl. L. Rev. 199 (2013).